Braant are an entrepreneurial and fast growing UK (London) based Bookkeeping and Accountancy firm supporting London based SMEs. They are seeking experienced and successful independent (self-employed) Sales Agents to generate and convert new prospects, and be part of an exciting journey with two owners who aren't your typical boring accountants. 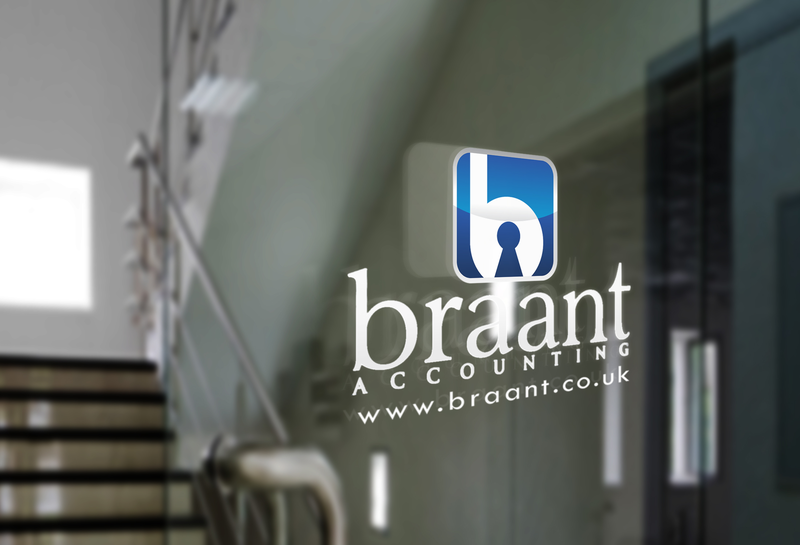 Braant are a leading Bookkeeping and Accounting firm for thousands of SMEs. The company's accountants work on-site at the premises of clients or off-site. They are also a highly accclaimed, award-winning company who are recognised as one of the leading London accountancy firms and their reputation is expanding across the country. The following interview with Bradley Mcloughlin from Braant will give independent sales agents looking for freelance accountancy based sales opportunities in the UK a better understanding of the commission-based position available. CC: Where did the inspiration for Braant come from? Bradley Mcloughlin (BM): We were fed up seeing the little added value SMEs received from their Accountants. The majority of SMEs simply see statutory filings carried out, and that’s it. CC: Why is hiring a credible Accounting firm important to businesses in the UK? BM: It is every company’s responsibility to retain and keep up to date their records, compiled into a set of books, to be used for management information and statutory filings such as annual accounts, VAT, Tax etc. Companies need to know and trust their accounting partners or potentially suffer the consequences down the line. CC: Can you tell us about some of the work you have carried out to date? BM: We support businesses of all sizes, from start-ups to companies with revenues of £200m+, across all sectors. At the high end, as an example, we have supported an investment company who were experiencing challenges with their back and middle office. The consequence was that they were on the verge of losing their FCA license and were behind with statutory filings with both HMRC and the FCA. We deployed a team of accountants to reconcile and clean up the bookkeeping as well as daily trades. We also structured the accounts department for an ongoing robust support function. Typically, we support companies either offsite or onsite. Offsite support will be for smaller businesses, and onsite for larger companies who need regular support, from one to five days a week. CC: What made you consider wanting to work with independent sales agents? BM: We’re generous with performance related pay, and feel independent sales agents would be attracted with our offering and be part of a very exciting journey. In addition to our own employed bookkeepers and accountants, we also engage independent accountants, who the majority have been with us for years. This shows that Braant is a great place to work and a rewarding company. CC: What makes Braant stand out among the crowd? BM: We’re multi-award winning and offer unique services which our competitors don’t. Our PR and reviews are also exceptional. We have 20+ offices across London so will be a local accountant to anyone in Central and Greater London. Our fees are both transparent and flexible, pay as you go or fixed. CC: What makes your service unique and innovative? BM: We provide onsite support, something not many other firms offer. Most of our staff have come from a Top 4 firm. We love technology and implement the best systems for our customers, leaving us to spend more time in helping our clients grow. We’re truly a local London firm, with 20+ offices. CC: What does the future hold for Braant? BM: Growth, in terms of customers and revenue. We’re always looking to further improve our internal efficiency so we can deliver an even more added value service to our customers. We also want to further develop our commercial arm. We have some clever people with us, not just accountants, but entrepreneurs who have set-up and sold businesses. This expertise is priceless and would be hugely valuable to our start-up and SME customers. CC: What are your best-selling services and why? BM: Our core and best-selling service is Bookkeeping, onsite and offsite. We service clients from just a few hours a month offsite, to having a team of ten accountants onsite, full-time for 1-2 years, working on a crisis, transitional or implementation project. We’re experts at bookkeeping and we even help other accountancy firms. Bookkeeping is sometimes misconstrued as just data entry. Data entry is simply that, typing data from one source (such as a paper invoice) to another (MS Excel for example) without ANY checks, reconciliation or tax expertise whatsoever. Bookkeeping is VERY different and should only be carried out by a qualified Bookkeeper. 2010 - Braant becomes an official Xero partner Braant are an official member of the Institute of Certified Practicing Accountants. CC: Are you a member of any industry associations? BM: We’re after agents who generate their own leads and either pass to us to convert, or nurture themselves to the point we take over. With our own leads, an Account Manager (Accountant) or Partner will converse with the prospect to fully understand their circumstance and exact requirements. Then an explanation of how we can help along with detail of our services will be communicated. Follow up mails/calls will be made until a decision is made, often in our favour. Due to anti-money laundering regulation, as accountants, we are obligated to take a copy of the prospect’s passport and home utility bill. CC:How do you currently bring in new business or win contracts? BM: Much of our new business is achieved through online marketing and referrals.